Stunning New Home In Quiet 7 Home Cul-de-sac That Boasts All The Upgrades From Hardwoods, Granite, Tile, Ss Gas Appliances, & More! Enjoy Gourmet Kitchen W/large Island & Full Pantry Plus 4th Bdrm Makes A Perfect Bonus Rm Or Home Office! Spacious Master Suite Has 5-piece Bath W/extensive Stunning Tile Work! 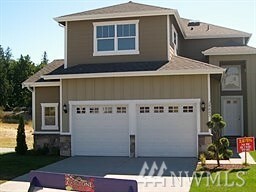 9,101 Sq Ft Fully Fenced And Landscaped Yard Is Very Private. Great Location 5 Mins To Canyon, Meridian & Pacific/hwy 7! Hurry To Choose Your Options/colors! More Lots/plans Available.